Hydraulic fracturing, or “fracking” as it’s commonly called, has been touted as a great boon to humanity and at the same time, condemned as a great danger. As usual, the reality lies somewhere in between. Fracking is a process of cracking rock formations (mainly shale) with high pressure water mixed with chemicals to release natural gas and oil deposits trapped inside. The hydrocarbons can then be extracted at low cost. The amount of gas and oil that has become accessible through fracking is impressively large. Reserves of natural gas, which had been falling for most of the last four decades, have increased for the last several years. Proponents argue that because of fracking natural gas will be the fuel of the future, providing energy to everything from home hot water heaters to power plants to automobiles. It will, they claim, lower consumer energy costs, provide greater energy security while at the same time reducing carbon emissions. In fact, low cost natural gas has replaced coal in some applications and as a result, overall U.S. carbon emissions have fallen to a level not seen since 1992. But fracking remains controversial. A documentary film, Gasland, which won various awards, was highly critical of fracking. It argued that groundwater contamination was a possible, if not likely, result of fracking. In a dramatic moment, a local resident in a natural gas production area lit the water flowing from his kitchen faucet on fire. The inference was that a fracked well had leaked natural gas into the water supply. Because of publicity of this sort, several states have halted fracking operations pending further study. It is important, however, not to expect that fracking or any other technological development will “solve” America’s energy problems. Fracking may also lead to emissions of natural gas into the atmosphere. If a well is not carefully controlled, there can be a gas leak. This gas is a more potent greenhouse gas than carbon dioxide, and one analysis by a team of researchers suggested that gas emissions from fracked wells could actually do more damage to the climate than coal. All of the purported dangers of fracking have been rebutted by other studies and analyses. The famous burning faucet was not in an area where fracking had taken place and indeed, commentators noted that methane gas has been found in ground water near natural gas deposits—whether fracked or not. Also, the leakage problem was challenged by another group of scholars who argued that for a number of reasons natural gas from fracked wells will be, on balance, beneficial to the climate. Of course there remain uncertainties with respect to hydraulic fracturing and many analysts agree on the need for careful monitoring of emissions and groundwater quality near these wells. But it is likely that fracking will continue and that in the short run it will reduce carbon emissions and lower some energy costs. It is important, however, not to expect that fracking or any other technological development will “solve” America’s energy problems. 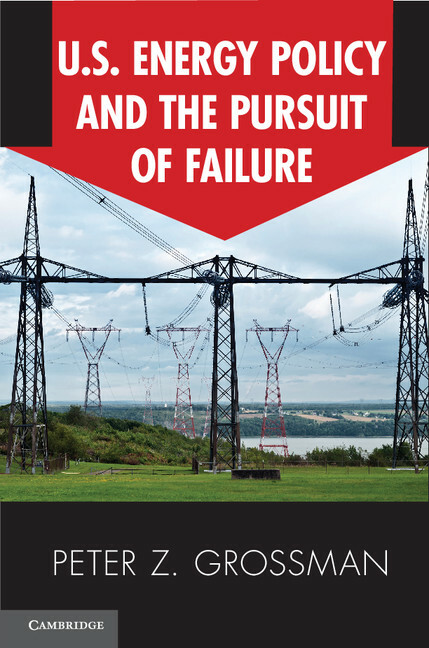 As my new book U.S. Energy and the Pursuit of Failure shows, policymakers have sought panaceas that would make energy problems go away. Fracking is sometimes touted that way. But fracking is no cure-all; there are no simple answers to the complex questions surrounding energy technology and society.